SUZUKI is displaying a production-ready turbo engine on its stand at the Tokyo Motor Show, but there’s little information on it. We can see that it’s still a twin, like the Recursion engine, but it looks totally different. Suzuki has put out a press release for the engine that just says ‘turbo engine for motorcycles’ but our sources say that it’s called the EX7 and is around 600cc. 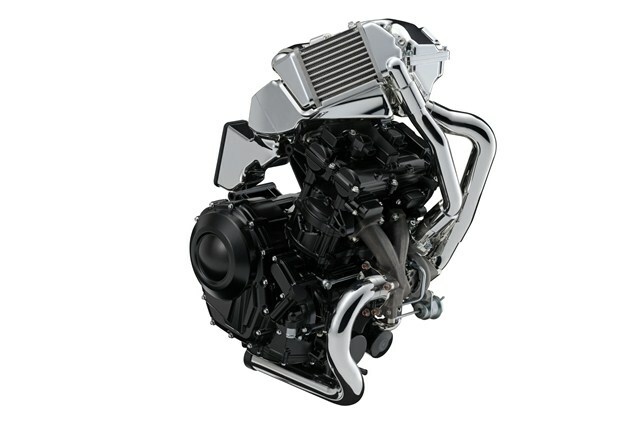 It’s worth nothing that the Recursion is 588cc, so this engine could be used to power the Recursion if it reaches production, which we think is probable afterSuzuki filed for patents and trademarked the name earlier this year. Regardless of whether it goes in the Recursion, it's likely we could see this motor used in a bike in the coming year.